Negotiators from Mexico, Canada and the United States were in Mexico City this week for a tense seventh round of negotiations over a modernized version of NAFTA, the North American Free Trade Agreement. 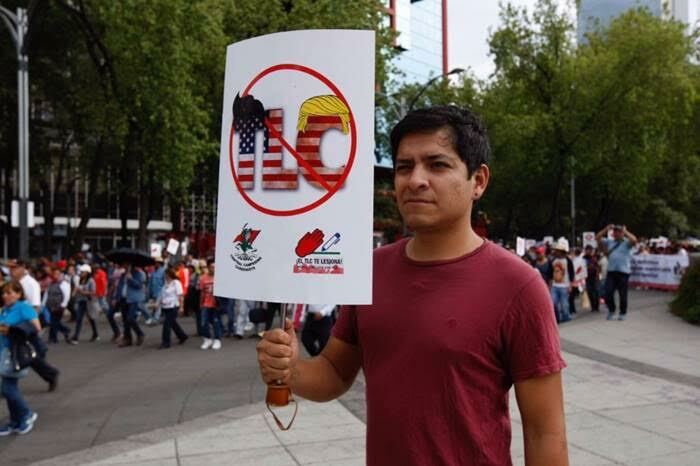 With President Trump’s announcement of tough new unilateral tariffs on imports of steel and aluminum, and the commencement of the Mexican election season later this month, pressure to conclude the deal—or for the United States to withdraw from it—is mounting. In all of this, there is a risk that the issues that are of concern to Internet users are being sidelined. One of these issues is the need for balance in the intellectual property chapter of the agreement, in particular by requiring the countries to have copyright limitations and exceptions such as fair use. This is particularly important if, as we have reason to fear, the rest of the chapter contains provisions that exceed the international copyright norms established in the TRIPS Agreement. According to the latest unofficial information that we have, the United States Trade Representative (USTR) is not negotiating for a fair use provision in NAFTA. Without such a provision, the new NAFTA will be worse than even the original version of the TPP, which did have a copyright balance provision, albeit an optional and weak one. The new NAFTA should also include platform safe harbors, to ensure that Internet intermediaries, such as ISPs, social networking websites, open WiFi hotspots or caching providers, are not held liable for the speech of their users. EFF addressed this issue in its remarks at ¿Modernización o retroceso? Amenazas al medio ambiente e internet en la renegociación del TLCAN, a forum held at the Mexican Senate on Friday March 2. We emphasized in our presentation that we aren’t arguing for platform safe harbors for the benefit of the large platforms themselves. The platforms are far from perfect, and the decisions that they make to restrict users’ content are frequently wrong. But that’s exactly why safe harbors are important. Without safe harbor rules, the Internet platforms that most Internet users depend upon to communicate and share online are likely to censor more of their users’ speech, in an effort to reduce their own possible legal exposure. Two separate safe harbor provisions are planned for NAFTA, and both are in trouble. The first is the copyright safe harbor, which in the U.S. is based on section 512 of the DMCA or Digital Millennium Copyright Act. In a nutshell, this safe harbor would protect Internet platforms from liability when their users infringe copyright, so long as the platforms take the allegedly infringing material down after they get a complaint. Canada also has a copyright safe harbor system, which is a little different (and better) because it doesn’t require the platform to take the content down, only to notify the person who uploaded it about the complaint. The copyright safe harbor in NAFTA is under pressure from rightsholders who want to impose secondary liability on platforms who don’t do enough to limit copyright infringement by users. Due to the secrecy surrounding the agreement we haven’t seen exactly what the more limited provision might look like, but we can guess from industry stakeholder lobbying that it will include a requirement to adopt effective online enforcement regimes [PDF], possibly similar to the SOPA-like censorship system currently under consideration in Canada. The second safe harbor under consideration in NAFTA would apply to almost everything else that isn’t copyright, for example defamation and hateful speech. In the US, that safe harbor is found in Section 230 (also called CDA 230). Unlike the DMCA, it doesn’t require the platform in question to automatically take anything down. For example, under U.S. law a search engine isn’t required to censor its search results if one of the results that comes up is alleged to be defamatory. And a good thing too, or we would see even more private censorship. Mexico and Canada don’t have an equivalent to Section 230, and the U.S. is proposing that they should—not so much because it promotes freedom of expression online, but because it would make it easier for American online platforms to operate safely and legally throughout the region. From what we have heard in the corridors of the closed negotiations, Canada and Mexico are pushing back hard on a Section 230-like provision in NAFTA, but for now the USTR is continuing to maintain it as a negotiating objective. It would be great if EFF and other groups representing users could speak directly with negotiators on issues such as fair use, the need to avoid placing restrictive conditions on copyright safe harbor rules, and the benefits that a Section 230-style safe harbor could bring to the online freedom of expression of Internet users throughout North America. But unfortunately the NAFTA negotiations are so closed and opaque that it’s difficult for us to do that. We’ll keep doing what we can to let the negotiators know our concerns, but ultimately what’s needed is a much more open and inclusive process, to ensure that trade agreements such as NAFTA reflect the needs of all rather than just those of well-connected corporate lobbies.